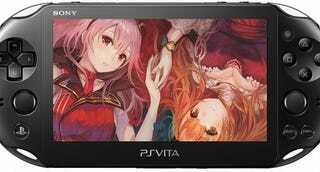 Koei Tecmo Europe recently asked fans, how important it is, to also release the Vita version of Nights of Azure in the west. Of course the results were clear, as major parts of the target niche of that game are bundled in the Vita owners. The price. PS4 games are way more pricey. Simply the option and/or cross-buy. If it’s technically possible, why wouldn’t I want to simply be able to play my games on both systems? Portability. Well, this should have been the first reason. More games. People always say, the Vita haz no gamez, which is entirely wrong, to begin with. At the moment, it was 1210 games and most games get localized, which is something most other consoles can only dream of. But it’s always fun to prove those people wrong with even more games. PS4 is nice. But the Vitas OS is still faster and better and multi-tasking. I always prefer to buy my games on Vita, as I can still play them on the TV via my PS TV. But the other way around it’s only possible with remote-play, which is limited to WiFi and has lags. And I didn’t even mention Persona 4 golden. Sadly, my Vita is broken at the moment. But I will definitively get a new one as soon as possible.